New Delhi April 16 (IANS) Accusing the BJP and Narendra Modi government of doublespeak on the dilution of the SC/ST Act by a recent Supreme Court order the Congress on Monday said that the ruling partys lies were nailed by the latest police orders in Chhattisgarh which is going ahead with implementing the Act s "diluted version". 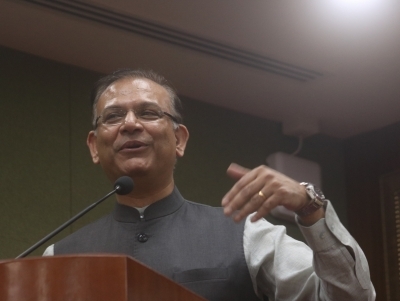 "The Bharatiya Janata Party (BJP) government in Chhattisgarh has gone ahead and started the implementation of the diluted version of the SC/ST Act and also promised disciplinary action against those who do not implement the diluted version of the Act. This is a clear case of the BJP s unabashed double-speak duplicity and deceit " Congress spokesperson P.L. Punia said. The Supreme Court in an order on March 20 the said that the arrest of an accused under the Scheduled Castes and the Scheduled Tribes (Prevention of Atrocities) Act is not mandatory and recourse to coercive action would be only after preliminary inquiry and sanction by the competent authority. The order caused widespread outrage forcing the Modi government on the defensive. "In a circular by Additional Director General CID of Chhattisgarh the state police has been directed to implement the diluted version of the SC/ST Act which busts the blatant lie of Prime Minister Modi and Union Law Minister Ravi Shankar Prasad that there would not be any weakening of the said Act " Punia said. He said that the Law Minister had earlier said that the Central government will argue the matter (review petition) in the Supreme Court "with full authority" but what a BJP-ruled state was doing now was totally opposite to it. 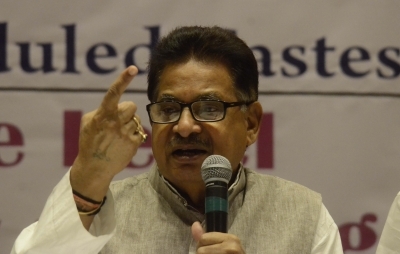 "Under the BJP s watch a Dalit suffers an atrocity every 12 minuts and every day six Dalit women are raped as per the National Crime Records Bureau (NCRB) data " Punia said.